Youth Soccer Training Program in Las Vegas. Soccer Skills Institute is designed for children Ages 5 – 12. Youth Soccer Training Program in Las Vegas. Our Soccer Skills Institute is a personalized, adaptive approach to teaching fundamental soccer skills, when combined with the Skills Institutes’ low player-to-coach ratio your child can gain great results in a fun, fast-paced learning environment that inspires players to achieve their personal goals as athletes, whether playing on club or school teams, or playing pick-up soccer with friends. 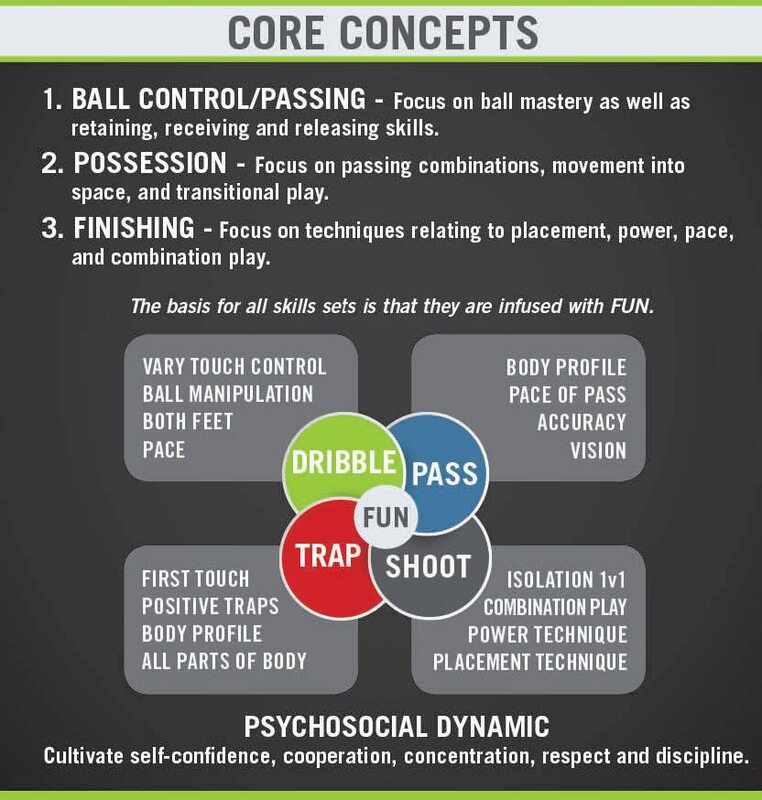 Our youth soccer skills school in Las Vegas offers age-appropriate instructional framework that helps to guide your child’s overall player development in technical skill, tactical knowledge, physical ability, and social & psychological awareness. With this approach we can provide age-appropriate clinics and classes that directly meet the needs and of local clubs and youth soccer associations. 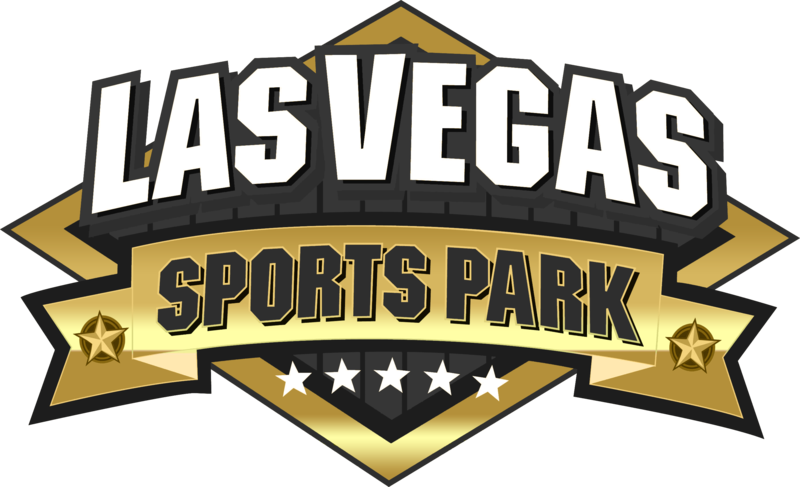 Our classes and clinics are timely too, because we try to schedule them to accommodate the schedules and tryouts of most local youth soccer associations in Las Vegas. That’s why the Skills Institute is a great fit for a wide variety of players, including first-time players, Lil’ Kickers graduates who are looking to join local youth soccer teams in Las Vegas, and club players looking for a leg up in progressing to higher levels of competition. Ideal level for Lil’ Kickers Micro Class graduates or minimal soccer experience. Level reserved for Level 1 graduates who have been recommended to progress or those with competitive soccer experience. 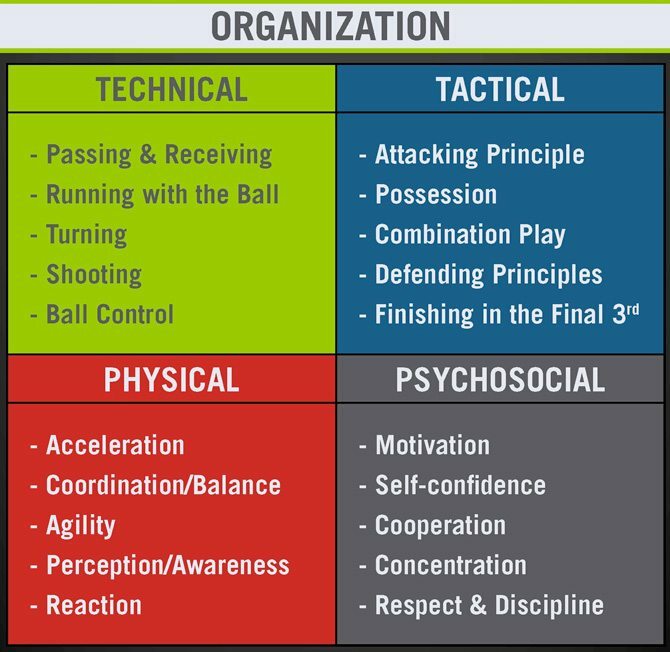 Level 2 will take players through a challenging 50-minute weekly session of driving competence of the fundamentals, defining of positions, and development of personal strengths and how to contribute those strengths to enhance team play.